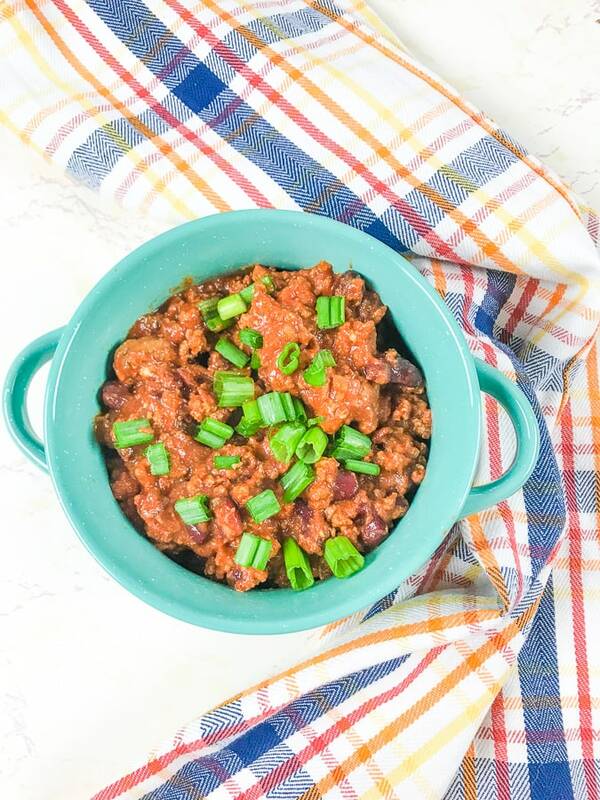 Wow your friends and family with this hearty instant pot beef chili recipe. It’s robust flavor will make you come back for seconds! This is hands-down the best chili I have ever made. The flavors are so robust. You will find yourself craving chili every week. My husband also agrees and said that our secret ingredient must be what all of my other chili recipes must have been missing. Ha! I still love my slow cooker turkey chili recipe and instant pot white chicken chili recipe but this one is the best classic chili recipe. The best part is it’s made quickly in the instant pot. 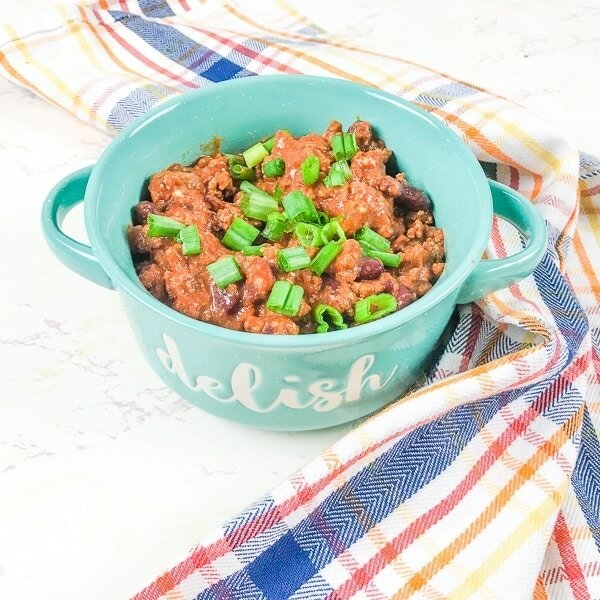 You get the same results as simmering your chili on the stove for hours in just under an hour with this instant pot beef chili recipe. It is a hearty instant pot recipe that is packed full of delicious chili flavor. 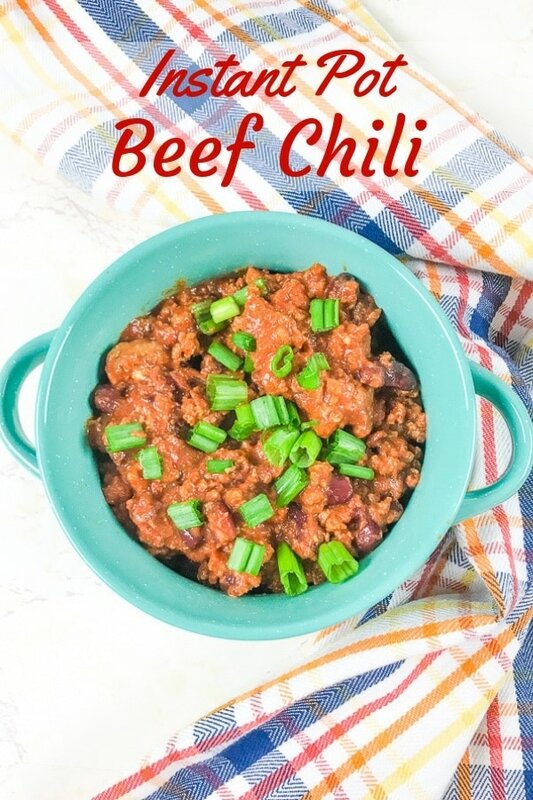 The thing that really makes this the best instant pot beef chili recipe is the Better Than Bouillon Chili Base. It adds layers of flavors that I have not been able to replicate with chili powder, seasonings, and peppers. It takes an ordinary chili and makes it amazing. Browning the meat or dump and push start? Although it takes a few extra minutes to brown the ground beef in this instant pot soup recipe, I do recommend you don’t skip that step. As tempting as it may be to make this a dump and push start instant pot chili recipe, it really tastes better when the meat has been browned. Set instant pot to sauté. Heat 1 tablespoon olive oil. Once oil is hot, pour in onion and ground beef. Stir and cook until onions are soft and meat is no longer pink. Mix in minced garlic, tomato sauce, kidney beans, and better than bouillon chili base. Cook on high pressure for 45 minutes or select the bean/chili button. Serve hot with green onions and sour cream. This instant pot chili recipe was made using the instant pot DUO 7 in 1 6 quart. Refrigerate any leftovers up to 3 days. 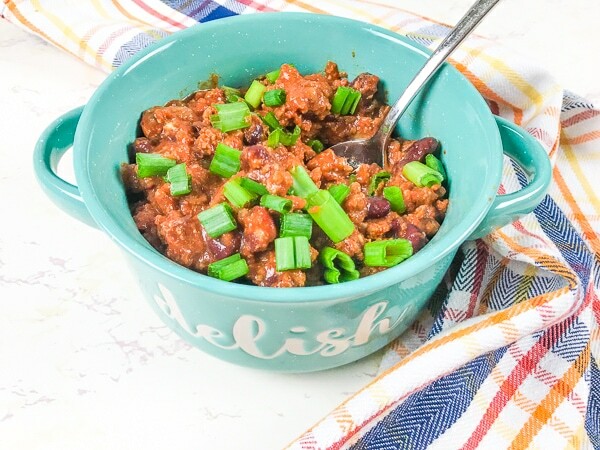 Wow your friends and family with this hearty instant pot beef chili recipe. It's robust flavor will make you come back for seconds! I love a big bowl of chili on a cold night. 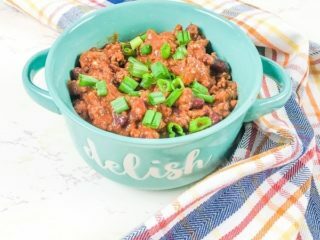 This instant pot beef chili totally hits the spot!